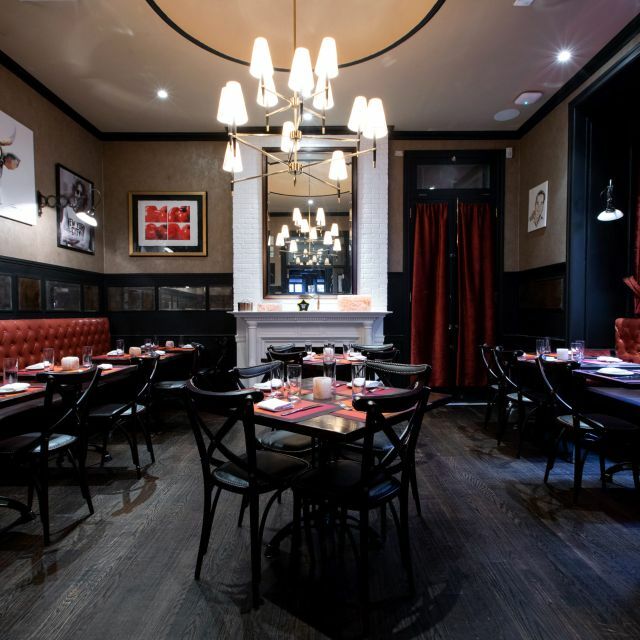 David Burke Tavern is a modern American restaurant by award-winning Celebrity Chef David Burke. 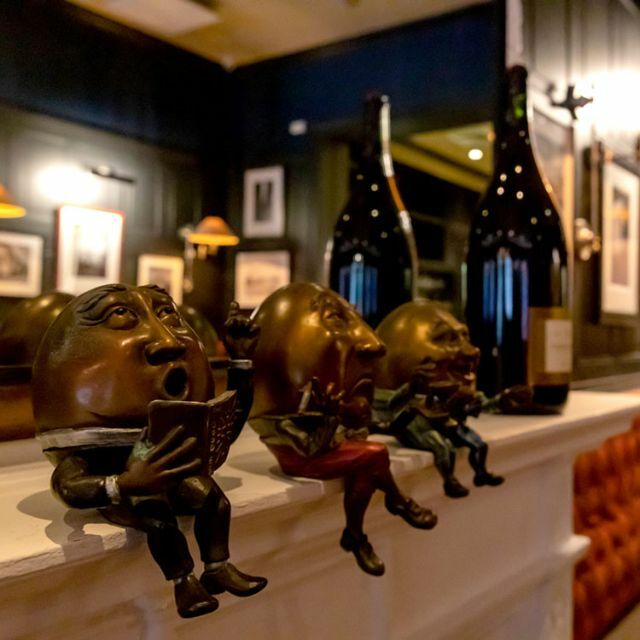 Situated on the first two stories of a stately townhouse on New York City’s Upper East Side, the restaurant showcases Burke’s creative and contemporary approach to classic fare – often with showstopping presentations. 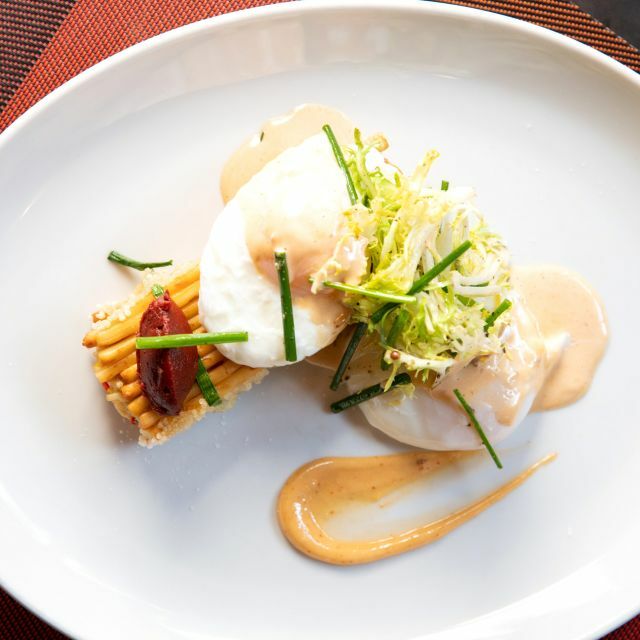 Signature dishes highlight seafood, steakhouse staples and beyond, including Livid Lobster Dumplings with spicy tomato; BBQ Bison Short Ribs; and Burke’s famous “Clothesline” Candied Bacon. 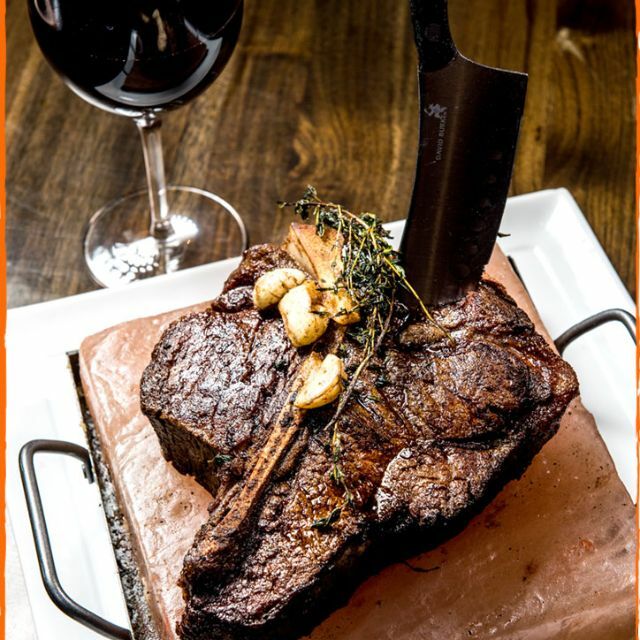 Himalayan Salt Brick Aged Steaks utilize Chef Burke’s patented dry-aging technique. 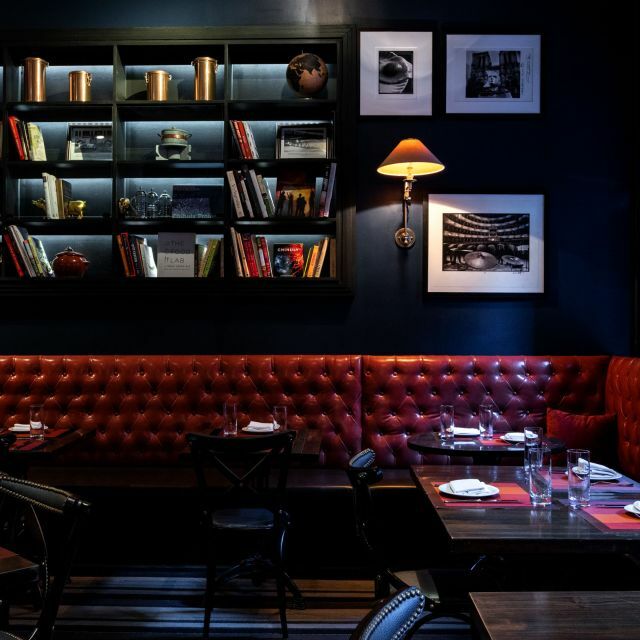 The food is matched by a thoughtfully curated wine list, craft beers and a specialty cocktail program. Wonderful. Very much enjoyed our lunch. Will be back again. This restaurant could be great. 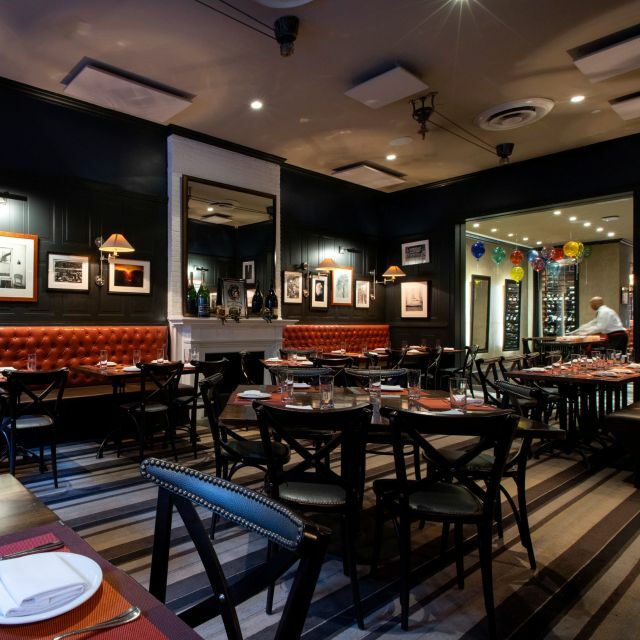 The space and decor is chic and the food tastes good. The service was very slow from acknowledgement to drinks to cadence to the check. The food presentation was not what you expect at the price point. Our server went above and beyond to make our experience great!!! The bacon was the best part of the meal, but the drinks were watered down. BACON!!! The bacon was amazing. Oysters for a buck during happy hour- amazing. Friendly, responsive waiter dealing with our rush to get to a show- amazing. Yummy cheeseburger though I hate when restaurants do burgers on english muffins, potato roll much better. But great otherwise. Perfect neighborhood spot. Amazing food and great service! Will go back! Great ambiance and the food and it’s presentation were amazing. Zachary was our server, it was his first night - and he is a stellar hire - charming and attentive. We went for lunch, the food was delicious and very good value. I ant wait to go back for dinner. It was a decent meal, but was more creative than delicious. It was a quiet Monday night when we had dinner there with another couple. Everyone enjoyed the various dishes we had. I particularly liked my agnolotti, which included some unexpected ingredients. We were celebrating 2 different birthdays, and we all left happy and thinking we would go back again. This was one of my worst restaurant experiences, and that's saying something. The cost was over $100 per person (party of five) and the food was pathetic. The server was insolent throughout the entire meal. 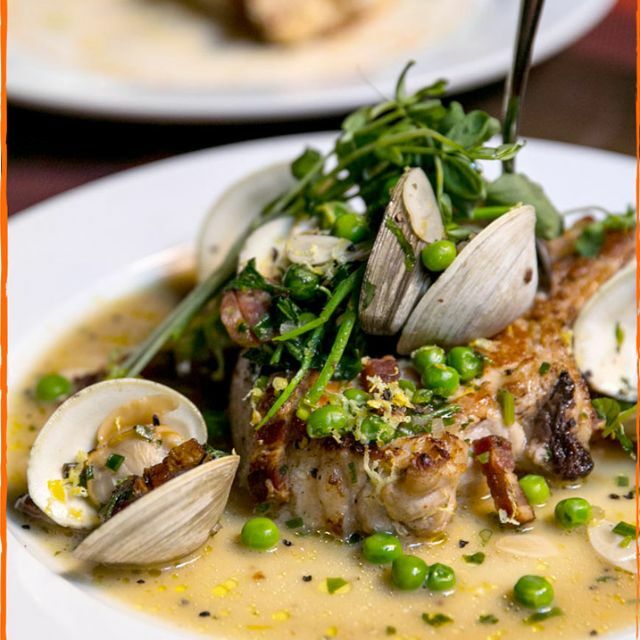 So many fabulous restaurants in NY. Skip this place. Great place, we live in neighborhood and love it. Hamburgers are excellent. Love the location and decor, waiter was nice but not outstanding service, bacon on a stick, amazing, main courses overpriced and tiny... 2 scallops and one small octopus leg for $30+ is frankly outrageous. Desert was good. Everything was great except they wouldn’t honor their Instagram post that offered their Restaurant Week menu through March. We went in February. Go early if you want quiet; it gets louder after 7pm. The molten lava cake was one of the best I’ve ever had. Very disappointing to have a waiter make what should have been a great not a good one. Also very disappointing that when asked about Restaurant week extension they aid it was same menu. When we got there menu changed and had to order off full menu. For the money one spends you would expect a far better overall experience. This was our first time at DB Tavern and was Valentine’s Day, so perhaps they just fell victim to typical Valentines mediocrity. That said, our server was annoying and food was just poor. The lobster steak, which we’ve loved in the past at DB Kitchen, was mostly a mousse-like filler with chunks of lobster scattered throughout, instead of pressed and seared lobster like we’d expect. The butter sauce on the dish was so oily it was inedible. Starters were meh, we were glad to leave quickly. Great experience and good decor/ambience. Excellent food at a great price. The cheesecake cake pops are a must for dessert! Service was incredibly slow. We didn’t place our orders for over 30 minutes. Great food as usual...lobster dumplings and braised bison. The environment is quite cosy. We ordered the restaurant week menu, and the rib and pork are mostly recommended. We will definitely come again with friends since so many sincere options are available here. Our server was quite disinterested and unfriendly. The appetizers and entrees were very good, although there was a very long wait in between. Dessert arrived quickly, but were slightly disappointing in comparison with the earlier dishes. Specifically the banana maple creme brulee had the texture more like the filling of a cream pie rather than a creme brulee. We were there for Restaurant Week which made it a good price choice. Otherwise, prices are a bit high. The appetizers were quite good and the branzino was superb. 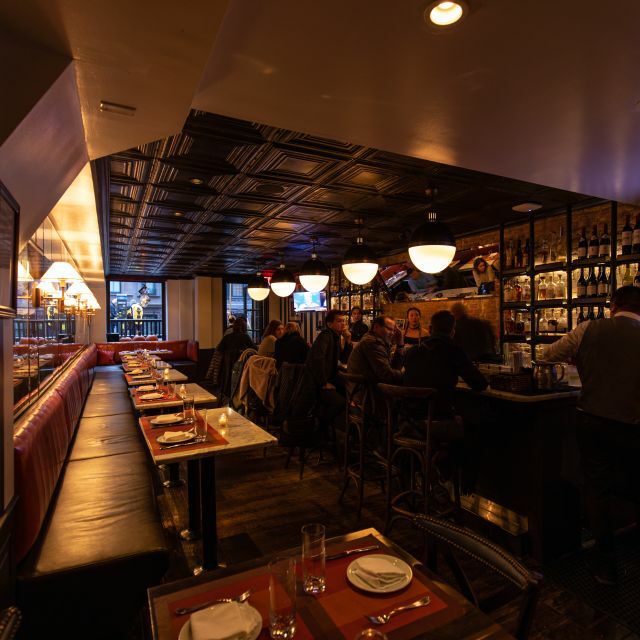 We became ill after dining at David Burke Tavern on 2/3. My husband ordered the scallops with octopus which he returned because the fish was not fresh. There was actually a bad smell. We both ended up having the branzino which was not only tasteless but the smallest entree portion we have ever been served. We also shared the lobster dumplings which are way overrated and the caeser salad. Don't know what made us sick, but we were both up all night with stomach cramps taking antacids. We used to enjoy DB Fishtail, but will never return to DB Tavern again. The food was good but the service was so bad that it ruined the experience. How can a restaurant like this allow a waiter to be so neglectful of his customers. Perfect. Great food in a nice but inviting setting. Casual but not too casual. The food was excellent, but the service was horrible which ruined the dining experience. We order two items on the menu that as it turns out the kitchen had run out of. We were never informed they were just doing a substitution. We had a table of five and every single one of us had a problem. We had also gone to the restaurant at Foxwood and the service was just as bad. They are doing the food a disservice. I have only been to Tavern 62 on one occaision. The overall atmosphere, service, food, value, creativity, customer service was excellent. For that alone, I would return. The only negative is that my food wasnt hot in fact it was warm at best. But everyone was friendly and I loved it!! Food was very good, but service wasn’t in the same level. One of the waiters brought a soup and forgot spoon. Excellent !!!! Duck with duck dumplings amazing desert amazing. steak was ok I thought under seasoned. Lobster dumplings were good but the duck ones they give you with the duck plate are 10x better. Just a great experience. Crab cake pretzel was good. Hostess’s were energetic and very attractive. Waiter was super attentive and the French (I think) waitress was impressive, very positive and again very attractive. Just a great place to go no snobbiness just good food and a lovely atmosphere!!!!! This past week I made an impromptu walk in last minute visit to this restaurant for this year's restaurant week. This restaurant is my go to to take a group of people because their menu is the same for restaurant week. Service was efficient and very quick meaning I sat in the standing table at 5 to 8 and was done with everything at 9. First I ordered a mocktail: Moscow Mouse which was good and refreshing. For my three course meal, I ordered the pastrami salmon with falafel. The pastrami salmon was not the same as I had it before. The falafel was a healthier version that caught me by surprise because it was chewy and it did have the breaded crispy crunch that would be found in most if not all authentic falafel. Next the roasted branzino arrived. The dish was one of the best dishes I have had in this restaurant to date. The branzino had a great roasted crisp especially combined with the squash, crispy artichoke and artichoke puree. The puree was the best I have had to date. Finally for the dessert I went with my server's recommendation of the chocolate hazelnut crunch cake. Unfortunately, the picture of this beautifully presented dish did not save on my phone. The cake was rich but it has to be consumed with the whipped cream for a balanced taste. I will definitely return to take advantage of their happy hour menu options especially the Impossible Burger. Not a fan, everything from the service to the lighting, to the food was subpar. A shame really because it was a special occasion and we were looking forward to it. I went for Restaurant Week, so the value was good, yet a $50 lunch (included an a la carte shared dessert, coffee, tea, tip, etc) is still a splurge for someone on a budget. The vibe was country gentleman’s study, yet the roomful of women didn’t seem to feel out of place. Days later, I’m still thinking about the Angry Lobster Dumplings and the Banana Crème Brûlée. Highly recommended! A delicious experience. 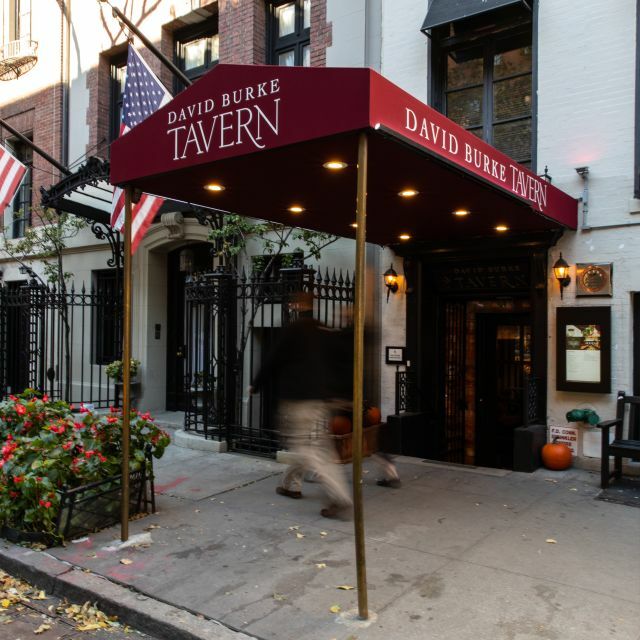 David Burke himself was there and was so friendly and welcoming. Highly recommend! Nice time great dinner... David Burke was in the house and was a great host. Wonderful food, very creative options too! I would definitely return.